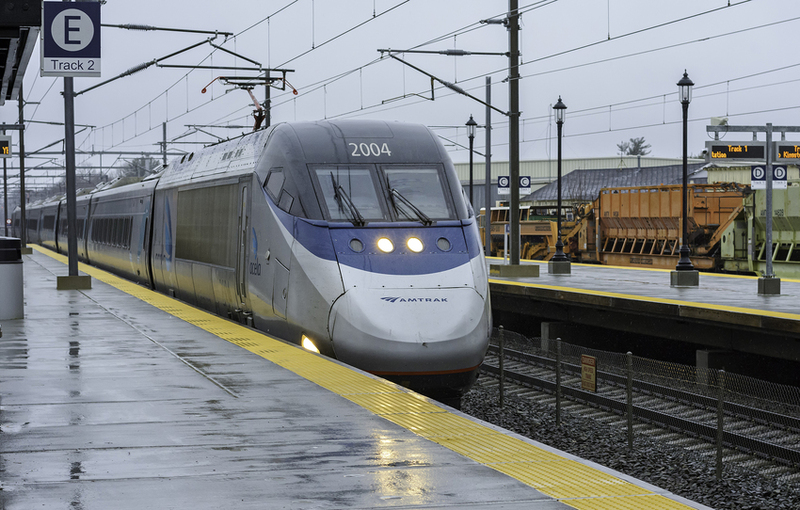 Amtrak Acela 2004, operating as train 2160, passes rather slowly thru Kingston, RI on this dreary, intermittently rainy afternoon. The Acelas appear to be under a speed restriction through at least the station area at Kingston. Note the track equipment on the 'Freight Connector' track in the background.